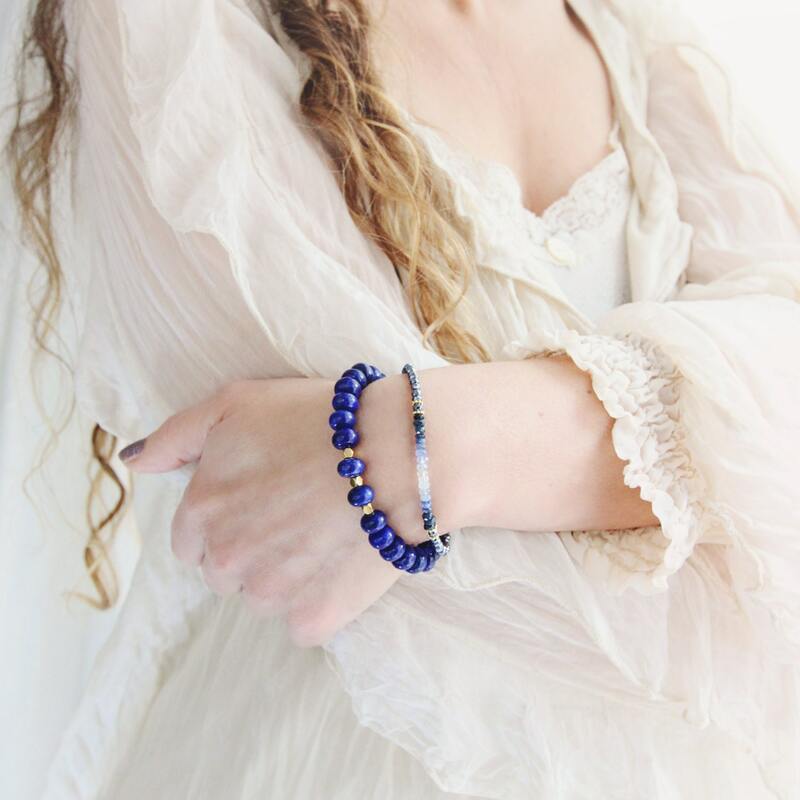 This lapis lazuli bracelet is a fabulous statement piece - perfect for day or night any season of the year. 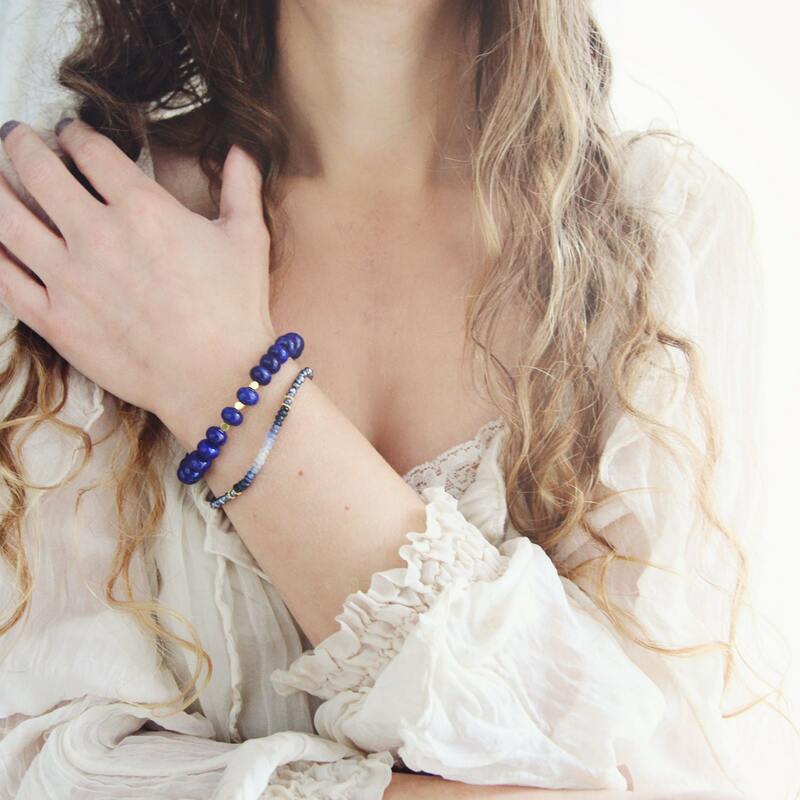 It looks wonderful paired with more delicate, feminine bracelets, which serve to highlight it's chunky style. For a more minimal look, this statement bracelet looks very striking worn alone, and wears just as well with jeans and a jumper as it does with a cocktail dress. 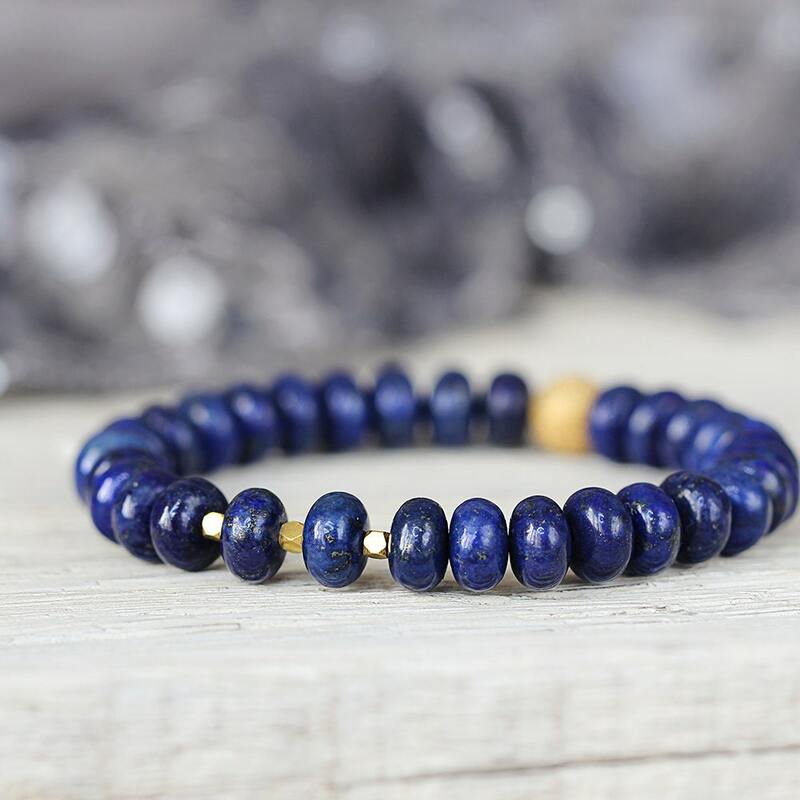 The smooth, oval, lapis beads are punctuated at the front by three minimal and modern gold vermeil beads which are faceted to sparkle and catch the light. 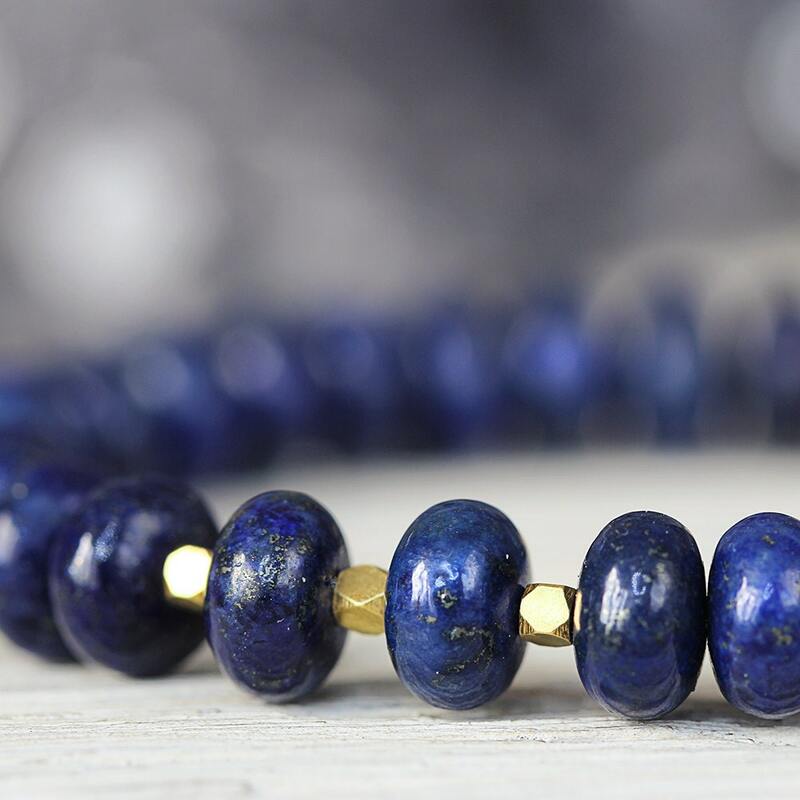 *** PLEASE NOTE *** It has come to my attention that *some* of these Lapis Lazuli beads *may* have been colour enhanced and it's possible the dye may fade or wear off slightly over the first few days of wear. Many gemstone beads on the market are dyed or enhanced and this is fairly common practice - and although I tend not to used dyed beads I was unaware these had been colour enhanced when I selected them. 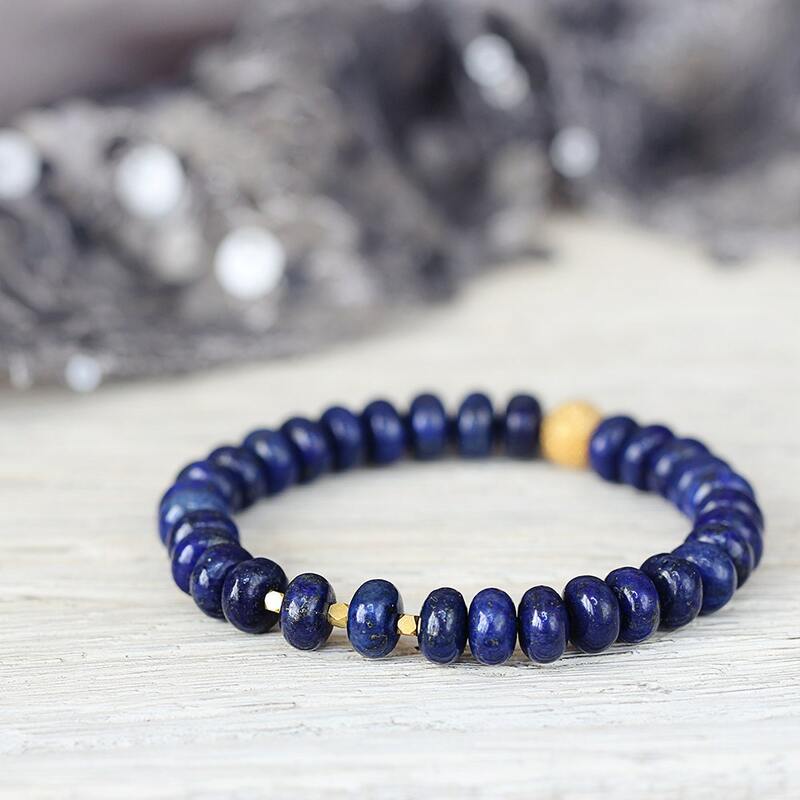 They are genuine Lapis Lazuli, and only one customer of many has experienced this issue. She described the beads as "a bit lighter but still pretty once the colour had worn off a bit". I only have a few of these bracelets left, and have decided to reduce the price due to the possibility of some of beads being colour enhanced - original price was £58, they are now priced at £32 (almost half price) until stocks last. If you have any questions, please do get in touch. * Lapis stones approx 8 x 4mm. Love this bracelet, and I’ve been wearing it everyday.